Formula 1 returned to action at the iconic Spa-Francorchamps circuit, kicking off the second half of the 2016 season. The paddock was refreshed and ready for the final nine-race stint, starting with the 61st running of the F1 Belgian Grand Prix. 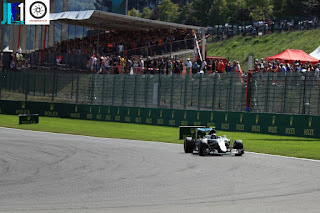 Nico Rosberg finished comfortably ahead of his team-mate Lewis Hamilton in first practice for the Belgian GP, after early super-soft laps from the Mercedes duo. Rosberg was one of several drivers who sampled the FIA's 'halo' cockpit protection device in the early stages of the session. He put in a 1m48.348 to end the 90 minutes of running at the top of the timesheets. Hamilton, who looks set to start at the back of the grid due to engine change penalties, was seven tenths off in second place, with Kimi Raikkonen, Sergio Perez and Sebastian Vettel next up. Daniel Ricciardo was sixth for Red Bull, with Max Verstappen, Nico Hulkenberg, Valtteri Bottas and Esteban Gutierrez rounding out the top 10. Esteban Ocon made his race debut for Manor and was an impressive 16th. McLaren struggled, with Jenson Button down in 18th and Fernando Alonso failing to set a time after a water leak. 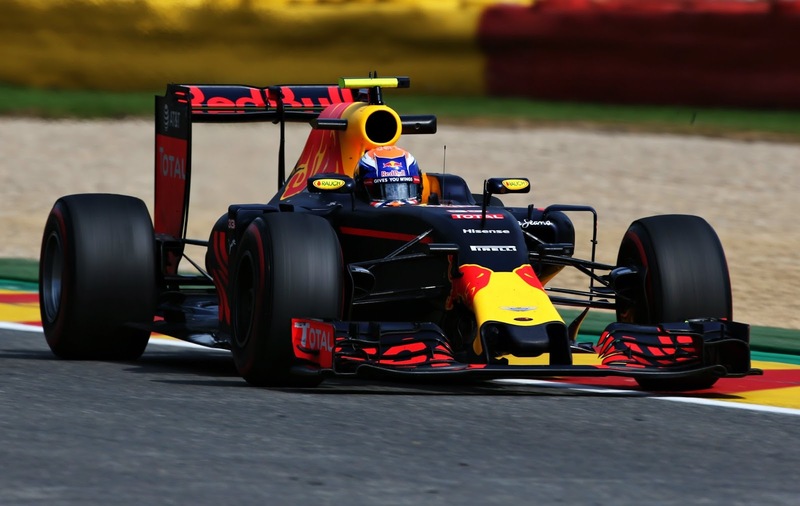 Verstappen led the way in the afternoon practice session, with his team-mate Ricciardo making it a Red Bull 1-2. A 1m48.085 on the super-soft tyre was enough for Verstappen to finish at the front of the field in FP2, three tenths clear of Ricciardo and Hulkenberg in third. Perez ended a strong session for Force India in fifth, behind Vettel. 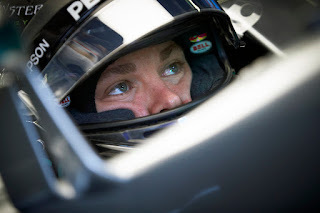 FP1 pace-setter Rosberg and championship leader Hamilton were sixth and 13th after focusing on longer runs. Raikkonen was seventh, with Grosjean and Button setting identical laptimes in eighth and ninth. Gutierrez showed Haas F1's pace in 10th, ahead of the impressive Pascal Wehrlein. Alonso made up for first practice by completing 30 laps, but he will have a 35-place grid penalty for engine component changes. Marcus Ericsson will drop 10 places for the same reason. Raikkonen set the fastest time in final practice for the Belgian GP, beating Ricciardo's Red Bull by two tenths of a second with a 1m47.974. Vettel was third fastest, ahead of Bottas and Hamilton, who opted to focus more on race pace before putting in a fast time late in the session. Rosberg was seventh, just behind Hulkenberg, with Massa, Perez and Grosjean rounding out the top 10. But while Ricciardo was up in P2, Verstappen suffered a tough FP3 after issues. He failed to set a timed lap due to reliability woes. There was drama during the session when Gutierrez and Wehrlein, who finished 12th and 15th, came close to colliding. 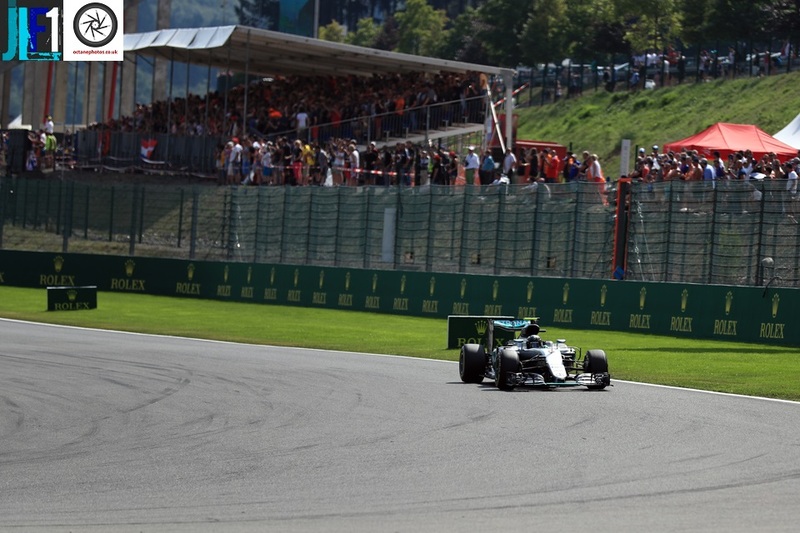 Rosberg's closest rival, team-mate Hamilton, may have been out of the picture due to engine change penalties but he didn't have an easy job of securing pole at Spa. The German put in a 1m46.744 to claim P1 on the grid for the Belgian GP, but he finished just one tenth ahead of Verstappen, who bounced back from a difficult FP3. Ricciardo looked set for third but the Ferraris improved to go third and fourth, Raikkonen ahead of Vettel. Perez and Hulkenberg were behind Ricciardo, with Bottas, Button and Massa completing the top 10. In Q2, Grosjean was the first to be eliminated, followed by Kevin Magnussen, Gutierrez and Jolyon Palmer. 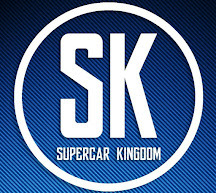 Carlos Sainz Jr. was 15th and Wehrlein made it through to the second segment, but was 16th. The opening session saw Felipe Nasr, Manor rookie Ocon, Daniil Kvyat, Marcus Ericsson and Hamilton eliminated. The Mercedes driver put in a representative lap before returning to the pits, already knowing he would start at the back. An engine problem early in Q1 halted Alonso and meant he failed to set a timed lap. With Rosberg at the front, Verstappen alongside him and Hamilton at the back of the grid, it looked set to be a thrilling 13th round of the 2016 F1 season. The revs rose, the lights went out and the Belgian GP got underway. Off the line, Rosberg had a good start to lead into Turn 1 but there was chaos behind. Verstappen had a poor getaway and lost ground to the Ferraris, but tried to sneak up the inside into La Source. He collided with Raikkonen, who was pushed into Vettel. The four-time champion was spun around and Raikkonen dropped back on the Kemmel Straight with damage. Verstappen had a scruffy first lap and had to pit at the end of it for a new front wing. Button and Wehrlein collided, taking both out of the race, while several others dived into the pits at the end of the opening tour. 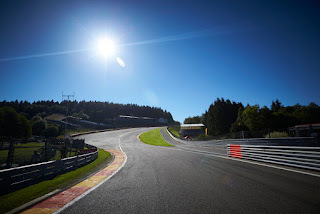 On the second lap Sainz picked up a puncture on the back straight and spun at Les Combes. Damage to his rear wing meant he was forced to retire and the Virtual Safety Car was deployed. The mayhem helped Alonso and Hamilton gain many positions, the two drivers rising to 11th and 13th. Raikkonen pitted and returned to the track despite a fire on his floor. The racing resumed and there was some close racing in the midfield. Rosberg led Hulkenberg, Ricciardo and Bottas, with Grosjean running up in fifth. But a huge crash for Magnussen at the top of Eau Rouge/Raidillon brought out the safety car, before the race was red flagged for 15 minutes on lap 10. The Danish driver lost control and spun into the wall. He got out of the car quickly but was limping slightly as he walked away. The race was stopped for barrier repairs. A whole host of drivers opted to pit under the safety car before the red flag, shaking up the order drastically. Rosberg remained in front but Ricciardo moved up to second, with Hulkenberg, Alonso and Hamilton next up. The race resumed behind the safety car, with a mix of tyre strategies. 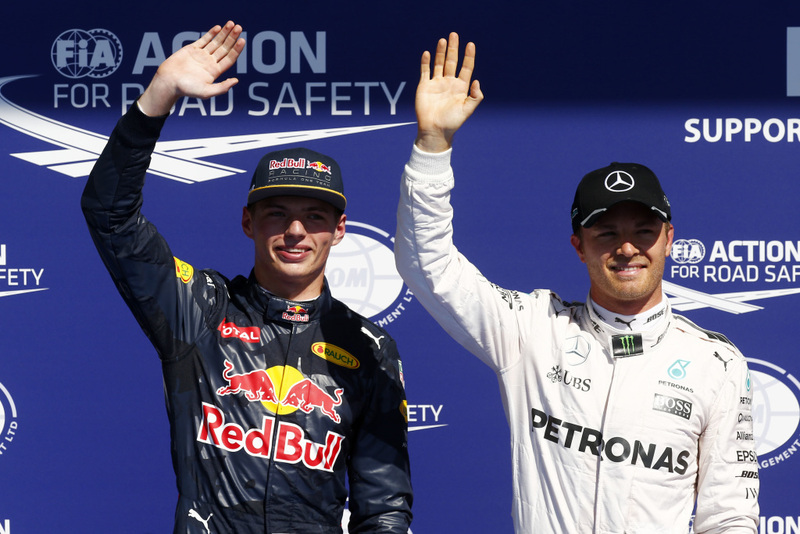 Rosberg soon established a small lead over Ricciardo, while Hulkenberg, Alonso and Hamilton battled over third. 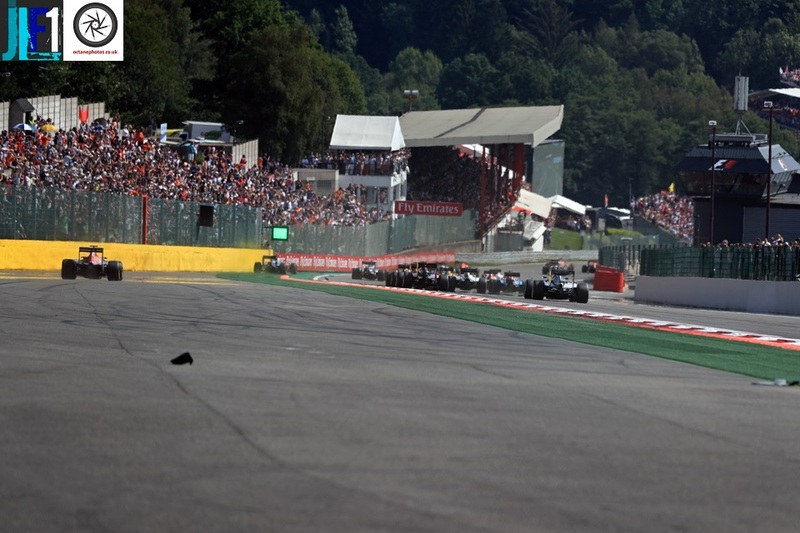 Perez claimed seventh from Kvyat, while Hamilton moved ahead of Alonso on the next lap on the run to Les Combes. Raikkonen and Verstappen touched as they battled for position and the Ferrari had to cut Les Combes in avoidance. He tried to pass the Red Bull once again but Verstappen blocked the inside, leading to an angry radio message from Raikkonen. A train of cars started to form behind Kvyat. Verstappen looked to be set to join it before pitting on lap 17. Vettel quickly displaced Bottas and then moved ahead of Kvyat to take eighth. Hamilton pitted for a new set of softs on lap 22, but it was a slow one and he lost several seconds. Other drivers followed suit over the next few laps. Hulkenberg and Alonso went down the pit lane side-by-side in the fight for third, there was brief contact as they tackled the hairpin and the battle resumed. Rosberg pitted for a new set of mediums on lap 26, emerging well clear of Ricciardo at the front of the field. 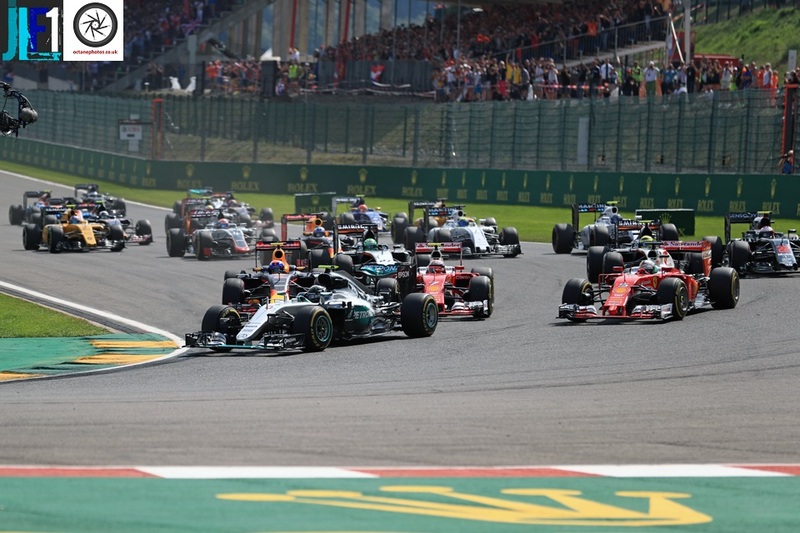 Meanwhile Verstappen and Vettel battled closely for eighth, with the Ferrari moving ahead on the Kemmel Straight. There were numerous battles on track as drivers gained and lost ground on differing strategies. Perez passed Alonso for fifth, while Raikkonen advanced to 10th and Hamilton hunted down Ricciardo for second. However, his charge came to an end with a final pitstop for a fresh set of mediums. Out front, Rosberg kept his cool and controlled the pace, while in the midfield there was plenty of movement in the closing stages. Vettel carved his way up to sixth place, with Alonso then having to fend off the closing Bottas in the last few laps. Raikkonen also made up ground to nab ninth. Rosberg crossed the line 14 seconds clear of Ricciardo, with Hamilton in third place. Hulkenberg and Perez were fourth and fifth after a strong race for Force India, with Vettel and Alonso next up. Bottas, Raikkonen and Massa completed the top 10. Verstappen was 11th, with Gutierrez, Grosjean and Kvyat next up. Palmer, F1 rookie Ocon and Nasr rounded out the finishers.